As of November 5th, the 4 track EP can be purchased online at GETHIP.COM. The record includes the a-side track off of their original Julian 45 released in ’66, “Taxi”, along with three unreleased songs recorded in 68′. 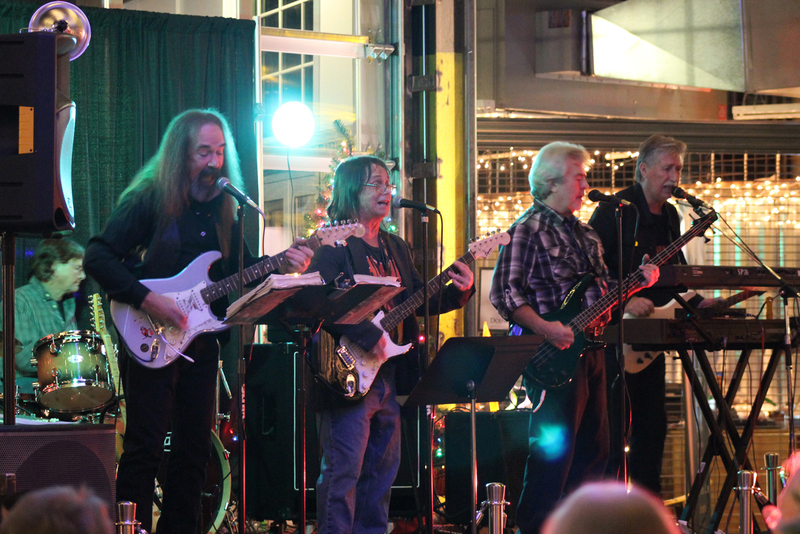 In celebration of the record’s release, The Chargers performed at Wenatchee’s Pybus Public Market last Friday (Dec. 13th). The band drew the biggest crowd yet for the Pybus “Friday Night Concert Series”, and were selling their record throughout their two hour performance. Rumor has it that the 45, currently being run on black vinyl, will be sold on translucent yellow vinyl sometime in the future. Check for upcoming show dates on the Chargers’ REVERBNATION page to get the limited black vinyl version directly from the band!